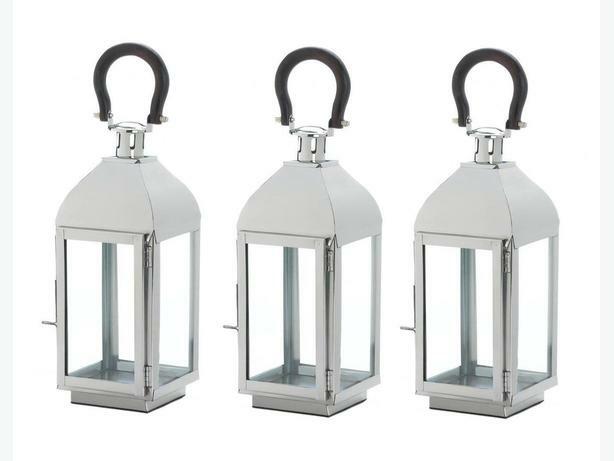 Amplify the sparkle & shine of your favorite candle with this gleaming, stately, candle lantern. The sleek frame holds four clear glass panels highlighted with a contrasting large black handle. Price is for 3 (candles not included)...5.62" x 5.38" x 14.2" tall (18" including the handle) & weigh 2.6 lbs. each!